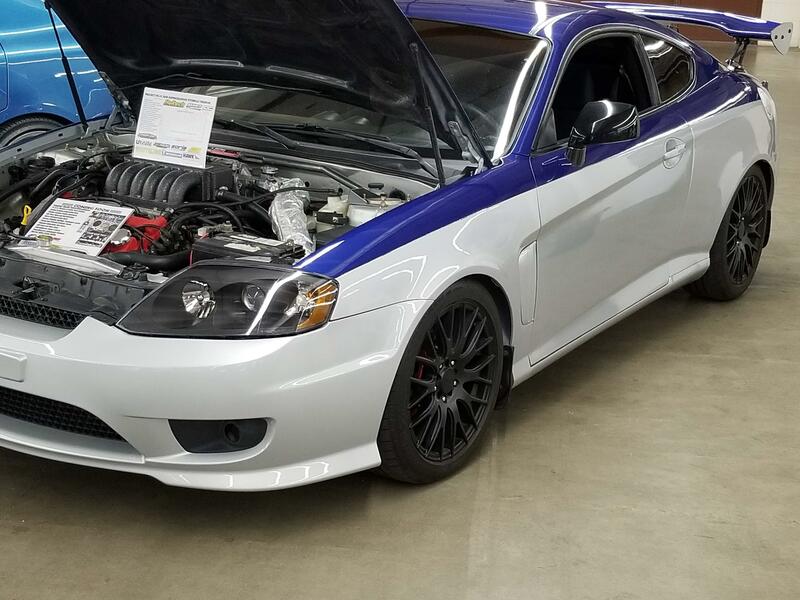 New Tiburon Forum : Hyundai Tiburon Forums > GK Appearance / Audio (03+) > Exterior > What should I buy/upgrade? I bought an 2004 Tiburon CVVT a year ago, and now i would like to get some stuff going. I will get the car painted after i did the underbody protection done, i am not sure which color tho! anyways, can you guys tell me what i should upgrade? i wanna invest heavily in a full body kit, and a spoiler, can you guys tell me which one is the best? also, some tiburons got an woofer in the trunk, unfortunately mine doesnt, is there a "replacement" for the original woofer which is based on the side of the trunk? And sorry for my english, i am from Austria. Any tipp would be nice! Re: What should I buy/upgrade? By VVT do you mean its the 2.0l 4cyl engine? Hard to tell from pics because it has the V6 wheels on it. I have an 03 Silver one as well and what gave it the most visual impact was updating to the 05-06 front end as well as a nice two tone paint job. The blue is Ford Sapphire Blue Pearl and the Silver is OEM. The wing on the back is the rare GT Wing that uses the stock mount holes. I got it from TuscaniCustoms . com. 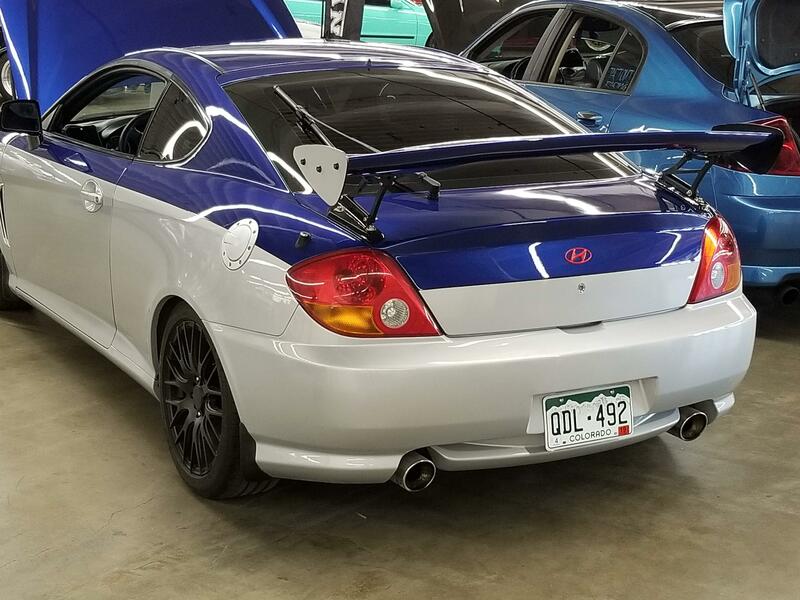 looks good, but that spoiler on your tiburon isnt for me i think. i ordered the OEM high spoiler a few weeks ago, need to paint it and install. should be no big deal since the drill holes are exactly the same as mine. your front-end looks great, but first i need some parts. are there actually good tiburon tuning sites still out there? i only know tuscani-customs so far.